Selling your Lexington MA home is a large decision, but not something to be feared! While many sellers seem leery of selling in today’s “buyers market”, it does not mean that it’s impossible. 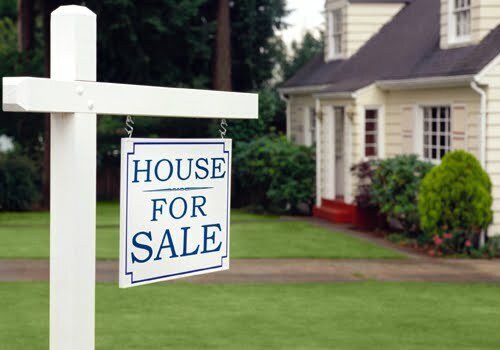 In fact, selling your Lexington home can be a smooth and efficient process if you understand what to expect. As a Lexington Real Estate agent, I enjoy helping take people through the home buying or selling process and explaining the ins and outs along the way. I feel that the buyer or seller should understand the process and what they can do to ensure the process runs as smoothly as possible. If you are considering selling your Lexington home this year, below are five tips that will put you on the right path! - There are more homes on the market than there are buyers. - Homes are staying on the market longer. - Homes are selling for less than they’re worth. 2. Price Your Home Correctly from the Beginning- This is a vital factor in selling your Lexington home. If you enter the market with an overpriced home, Lexington buyers will immediately cross it off their list and move on to a more affordable option. They have that luxury in a buyers market. The longer your Lexington home sits on the market; the less interest it will receive. You’ll find that waiting for that to happen and then reducing your price will not generate the same excitement that a ideally priced home would in the beginning. 3. Make Your Home Irresistible- Lexington buyers expect only the best, especially if they have the option to be picky. You’ll want to make sure your home shows like a model home and that its irresistible to buyers. Take care of any issues that you know of in your home, spend time updating your home (even if it’s just a fresh coat of paint), and spruce up your Lexington home’s curb appeal. All of these little details will add up to a home that buyers can’t refuse! 4. Find a Trusted Lexington Real Estate Agent- You’ll want to do your research and find an agent who has years of experience in the Lexington Real Estate market. Your real estate agent will play a key role in getting your Lexington home sold. Look at their home selling record, client testimonials and ask them to give you a detailed plan of what they will do to sell your Lexington home. 5. Make Sure Your Home is Getting Ultimate Exposure- The main element in getting your home sold is exposure. Did you know that over 80% of people search for homes online? Getting online exposure for your home is vital for home selling success. Talk with your Lexington Real Estate agent about how your home will be presented online and the types of sites they use to market your home. An online presence for your home is a service your real estate agent should be providing for you. If you have any questions about selling your Lexington home; please let me know! I’ve helped many sellers with each step of selling their home and know that together we can get your home sold for the right price and in the time frame needed. Please feel free to contact me today to get started! Lexington MA - 10th Annual Truck Day!